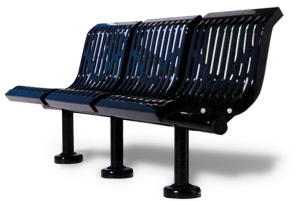 The Straight Downtown Style Park Benches feature three perfectly aligned seats creating the ideal in bench seating along	walkways and sidewalks. Supported with extremely sturdy 2-7/8" O.D. steel legs, these benches Each the standard in high quality outdoor furniture.